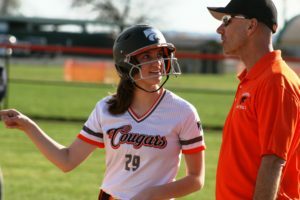 PALMYRA – If there’s been one Palmyra girls’ athletic program which hasn’t enjoyed the type of overwhelming success that the others have, it’s softball. 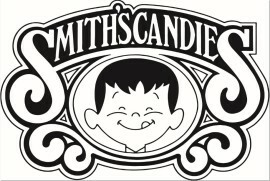 But all that might be changing. 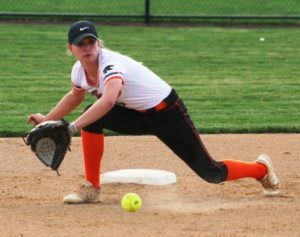 On a gusty Tuesday evening at Palmyra High School, the Cougars continued their prosperous start to the spring season by steamrolling Harrisburg 11-0, in a Mid-Penn Keystone Division clash shortened to five innings by the mercy rule. 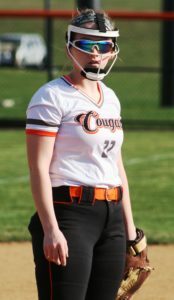 With Palmyra dominating in every phase of the game, Cougar starter Abbey Krahling and reliever Sarah Quigley combined for an abbreviated no-hitter. 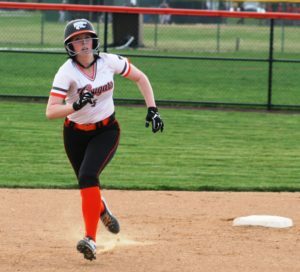 The result pushed Palmyra to 5-1 overall and 5-0 in the Keystone Division. 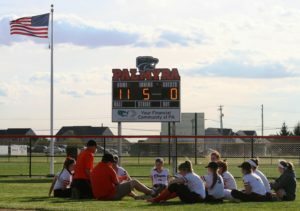 “Winning the conference is definitely one of our team goals,” said Palmyra head coach Tod Whitman. “The dynamic of our division is it’s pretty wide open. 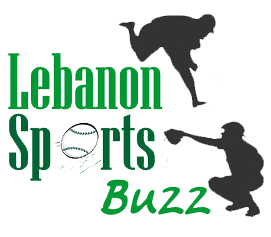 There’s teams who traditionally do well who aren’t, and there’s teams who don’t traditionally do well who are. It’s wide open, and I love that. There’s confidence with this group. What’s exciting for us is that we’ve beaten some good teams. 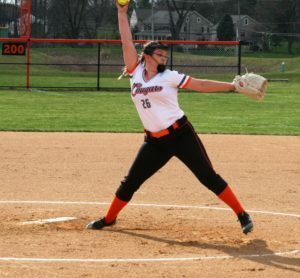 Before giving way to Quigley in the top of the fourth, A. Krahling worked three perfect innings, striking out the Harrisburg side in the first and third frames. 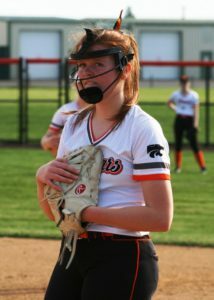 The senior right-hander whiffed a total of seven batters. Quigley hurled the final two innings, fanning two and walking two. Harrisburg did not hit a ball out of the infield all afternoon long. 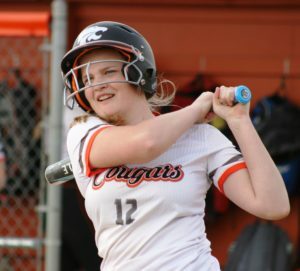 It took a bit for the Cougar offense to get underway, but once it did it churned out runs. 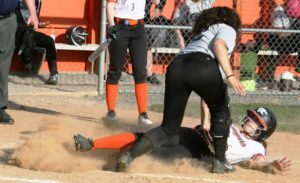 Palmyra broke out on top with a single run in the bottom of the opening inning. 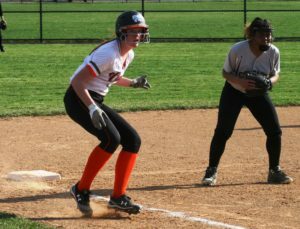 With two outs, Samantha Krahling singled and stole second, ahead of Sara Boyer’s RBI-double. 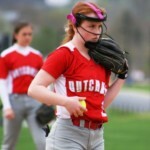 “They’ve got a good pitcher,” said Whitman of Harrisburg starter Sydney Davis. 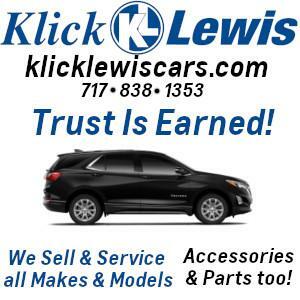 “We knew that coming in. We needed to have better discipline at the plate. We needed to put the ball in play. I think they (his players) were over anxious. 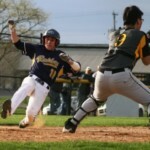 I know we have a good hitting team. 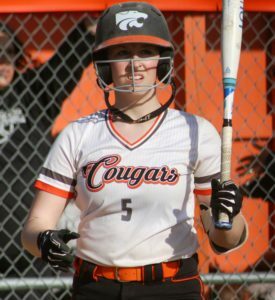 It was still a 1-0 game into the top of the third, when Palmyra struck for five runs to create a little distance between itself and the other Cougars. 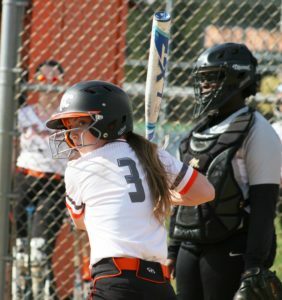 Palmtyra sent 11 hungry hitters to the dish during the rally, and the big blow – a two-run double – was struck by S. Krahling. 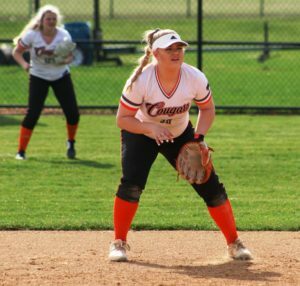 Shayla Myers added a single RBI for Palmyra, while the other two Cougar runs scored on a throwing error and a wild pitch. “It’s (the result) important,” said Whitman. “This team’s good, and I think they’re feeling pretty good about themselves. It’s easy to overlook, but this team isn’t good enough to do that. They’re (his players) not at a tier where they can walk on the field and the other team caves. We’re not there yet. Every game in our conference is a must-win. 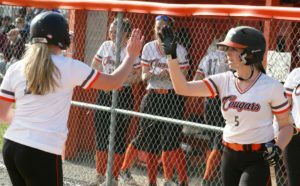 The Cougars brought the mercy rule into play with a five-run, bottom of the fifth. 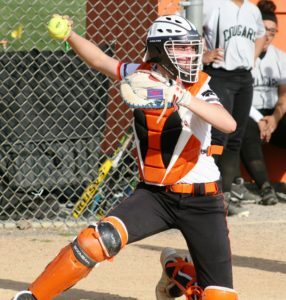 Four of Palmyra’s first five batters in the inning – Kenzie Yingst, S. Krahling, Boyer and Brianna Michelson – smashed doubles. 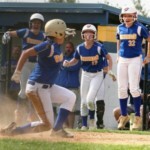 S. Kraeling and Boyer were credited with RBIs, as was Emily Kreider, who knocked home a teammate with a ground out. “I want to play everyone once,” said Whitman, when asked about the lay of the Keystone Division land. 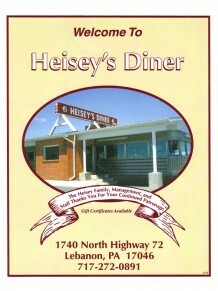 “We haven’t seen (Bishop) McDevitt yet and we haven’t seen Hershey yet. Check back with me after we played everyone once, and I’ll know where we stand.